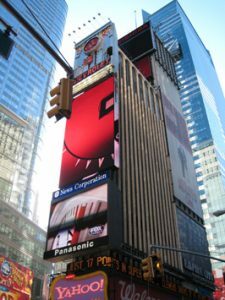 Times Square | Custom & Private New York Tours, Inc. Most visitors enjoy Times Square while attending various theatre performances, shopping, or having a meal or enjoying numerous other attractions such as Ripley’s Believe it or Not or Madame Tussaud’s House of Wax, etc. Times Square can be a pass through or a short walk-about during your tour. A word of caution, do not purchase electronic or photographic devices in Times Square as many have complained that the value is just not there. Caveat Emptor!